As we put the finishing touches on our costumes, here is a short roundup of interesting and spooky Halloween-related news from around the web. 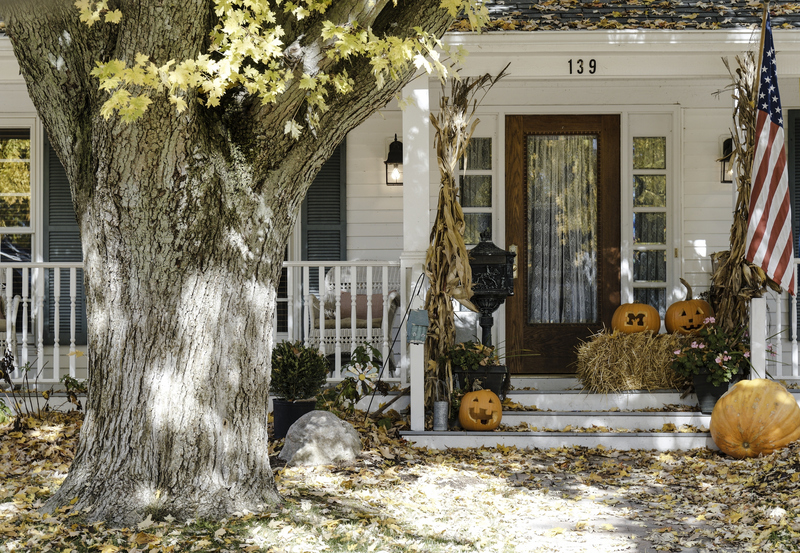 Inc. magazine published some good tips for business owners on how to prevent getting burned by liability claims stemming from Halloween-related events at work. I.I.I.’s own Michael Barry provided CNBC with advice for consumers on how to review their insurance policies for potential gaps to help avoid any financial shock from holiday mischief and mishaps. Franz Kafka’s career in insurance is illuminated in this Contingencies article. The writer, famous for his surreal and arguably scary worldview, worked as an insurance agent at the Workers’ Accident Insurances Institute of the Kingdom of Bohemia in Prague from 1908 to 1917. He is described as a successful and valued employee who cared deeply about his work. And speaking of writers, Edgar Allen Poe’s poem “The Bells” was once used in an ad for fire insurance. The I.I.I. has tips for safeguarding your home against Halloween mishaps. 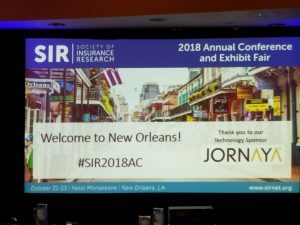 I recently spent two days (10/22-10/23) at the Society of Insurance Research (SIR) Annual Conference in New Orleans where a line-up of insurance executives and intelligence analysts talked about ways the insurance industry can leverage research, analytics, competitive intelligence and analysis techniques to get past the hype and develop effective strategies to move forward. Here are just a few of the many interesting insights gathered at the extraordinarily intensive conference. Implementing digital transformation will require an integrated approach across departments as well as a companywide culture shift. It will not work if executives are on-board but middle managers are not, said Robert Mozeika, Munich Re’s innovation executive. Competitive intelligence is not just about understanding what your competition is doing, but having a deep understanding ever changing market conditions, said Dr. Ben Gilad of the Academy of Competitive Intelligence. He suggested companies test strategic moves through role playing, with participants taking the parts of high-impact players. Gilad had some advice for us information professionals as well – unless you can turn your insightful intelligence-gathering reports into action, they are useless. That’s why we need to become the trusted “sense maker” to our company’s top decision makers. This year, SIR conducted a consumer survey on innovation by insurance companies. It found that auto and homeowners insurers were considered “pretty innovative” by 40 percent of respondents when compared with banks which were considered “pretty innovative” by 46 percent. This is a “pretty interesting” finding! When was the last time you heard about a new and exciting bank product? Interestingly, there was a whopping 365 percent increase in the percentage of people reporting an increase in communication from P/C insurers regarding simplicity and ease of use of their products. It looks like people don’t equate improvements in ease of use and simplicity with innovation. When asked which three things insurance customers would change through new technology or innovation, the top three were: privacy, ease and personalization in that order. The explosion of data from connected devices leading to new product categories, more personalized pricing and increasingly real-time service delivery. Increased prevalence of physical robots (drones, self-driving cars, autonomous farming equipment) will lead to shifting risk pools, changing customer expectations and new products and channels. Standardized data frameworks and formats will lead to highly connected data ecosystems between multiple private and public entities across many industries. Advances in cognitive technologies (machines that mimic human learning) will enable products that re-evaluate risk in real time based on consumer behavior. Chatbots and roboadvisors are already making roadways into the insurance industry and according to a survey by AXA; 34 percent of millennials want to interact with their insurer online only which shows that the market is prime for robo-advisor interaction. Here are a couple of books recommended by speakers that I can’t wait to dive into. Geeta Wilson, vice president, consumer experience at Humana, recommends Competing Against Luck: The Story of Innovation and Customer Choice by Clayton M. Christensen. The author, a Harvard Business School professor who coined the term “disruptive innovation”, introduces the concept of “jobs to be done” theory in this book. Another book I look forward to reading is Professor Al Naqui’s The Beaver Bot of Yellowstone: Pure-Play Leadership for the Artificial Intelligence Revolution. This book, targeted towards business leaders, promises to be an accessible guide through the mysterious and complicated cognitive transformation that firms are in for if they want to stay alive in the dawning age of AI. Here are the 5 most clicked on articles from this week’s I.I.I. Daily newsletter. To subscribe to the I.I.I. Daily email daily@iii.org. Among the ruins of Mexico Beach stands one house, built ‘for the Big One’, New York Times. What motivates people to shop for auto insurance? A study conducted by Facebook and Comscore. Deer crashes down, State Farm. 11 infant bodies found in funeral home add to industry horrors, USA Today. Small businesses need cyber insurance – just like everyone else. Used to be, hackers would spend most of their time hitting big companies with deep pockets and troves of customer data. But the times have changed. Launching a hack is as cheap and as easy as never before. 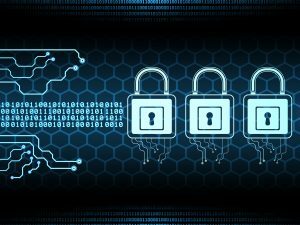 Because of this, lots of hackers are playing small-ball by going after small businesses. Their calculations make sense. A ransomware payout might only be a few hundred dollars, but if hackers can hit hundreds of businesses simultaneously, their ill-gotten loot adds up pretty quickly. Small businesses know they’re at risk. According to a recent Insurance Information Institute (I.I.I.) and J.D. Power 2018 Small Business Cyber Insurance and Security Spotlight Survey℠, 70 percent of surveyed businesses said that the risk of being victimized by a cyberattack is growing at an alarming rate. Meanwhile, we found that 10 percent of respondents said they have experienced at least one cyber incident in the prior year. To give you some perspective, that’s about the same rate as drivers get into auto accidents. Imagine getting into an accident and not having auto insurance. It’s an expensive proposition. The same goes for cyberattacks – we found that the average small business cyber losses for the past year were $188,400. That’s a lot of money for a small company to absorb. As hackers continue to get nimbler, the need for small businesses to have cyber insurance will grow. 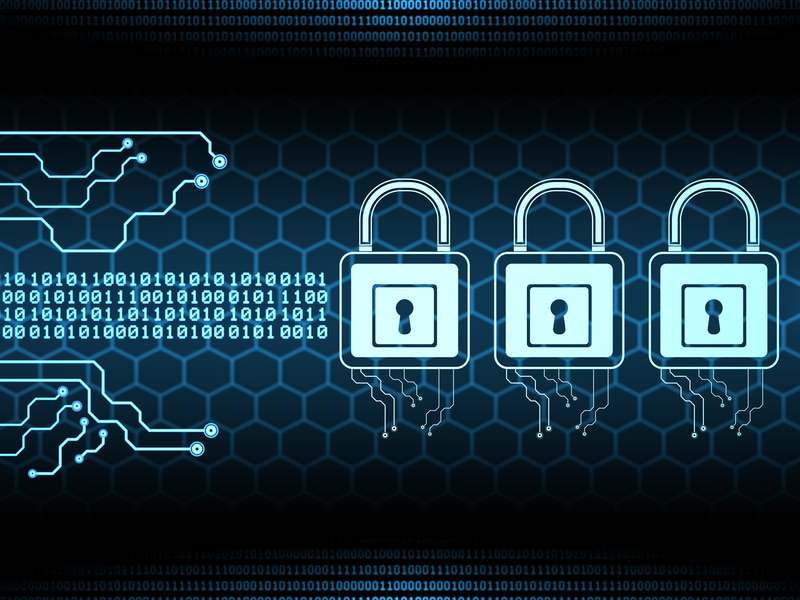 It’s incumbent on insurers to educate their business clients about the value of cyber coverage. And the value is there to see: 97 percent of our survey respondents who had cyber insurance and were hacked said that their coverage was good enough to make them whole again. Earlier in the week, Lynne McChristian, our I.I.I. representative based in Tallahassee, wrote about her life in the aftermath of Hurricane Michael. Today she returns with a follow-up post. 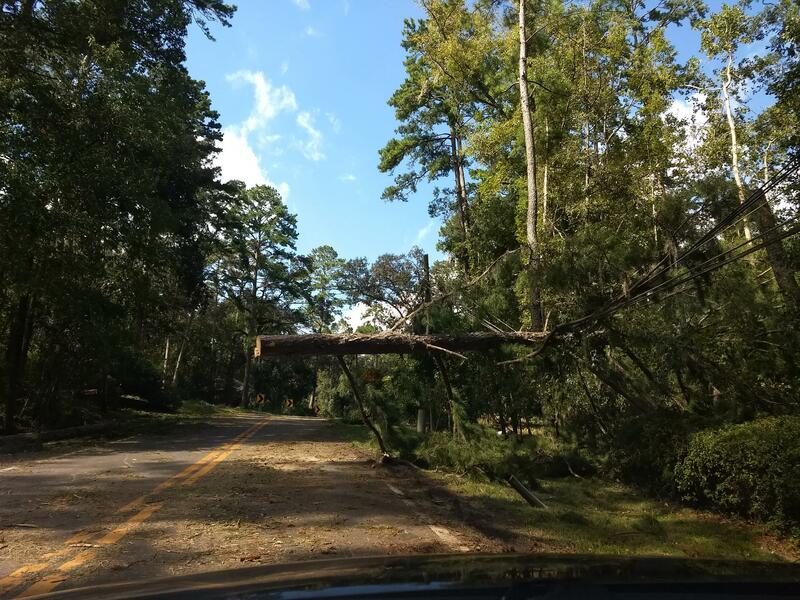 Tallahassee, FL – We were six days without power; it felt longer. Two back-to-back days of record-breaking October temperatures peaking at 90 degrees. The generator was a godsend, even if it was not powering air conditioning, only the refrigerator, an oxygen concentrator for my ailing mother, and random lights. I was trying to keep only one light on at a time to minimize the number of gasoline refills required for the generator. At dusk, however, it became too dim for mom to navigate the house, so we flipped on more lights – and that meant refilling the generator every 8-10 hours. It ran out of gas at approximately 2:30 a.m. two nights in a row. The first night, I gassed it up in the pitch darkness with a camping light resting on the hood of my car. The second night the generator sat silent, to be refilled at daylight. I highly recommend having a portable generator ready in advance, rather than waiting (as I did) until you experience two days without power. Here are a few models that FEMA recommends. 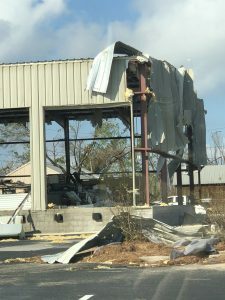 On Monday, I drove to Panama City to connect with insurers, many of whom had been on the scene since Sunday. Fleets of insurance company mobile claims units were in multiple places in the area, including a Lowe’s parking lot where claims adjusters from Allstate, USAA and Met Life were helping people start the insurance claims process. Insurance claim checks were being written on the spot to storm victims for preliminary damage and for additional living expenses. I tried to drive further into town to tour the most severely damaged areas, but traffic was at a crawl. Perhaps the traffic snarl was a combination of residents trying to get back to their homes, those coming to render aid – and the curious. It felt more chaotic as fire trucks and ambulances, law enforcement vehicles and Florida Highway Patrol escorts for utility trucks were splitting through traffic and edging along the shoulder of the road. It was clear the area was still in disaster response mode, not recovery. Panama City Beach is a tourist area about 10 miles Panama City. On Monday it was a ghost town. Beach Front Road had blocks of mainly empty hotels, closed shops, shuttered amusements, and an occasional restaurant serving meals mainly on their outside patios. It was eerie. Bay County instituted a curfew from 6 p.m. to 6 a.m.
Back in Tallahassee, 95 percent of residents had power by Tuesday. This city known for its tree-shaded canopy roads has a great deal of that canopy lying flat alongside the road, waiting for crews to haul it away. In areas hardest hit by Hurricane Michael, the road to normalcy will be a long one. Insurers are serving policyholders throughout the affected regions – to help people recover and rebuild. Lynne McChristian, is I.I.I.’s Florida Representative, and Assistant Lecturer and Executive Director of the Center for Risk Management Education & Research at Florida State University’s College of Business. To discover what motivates people to shop for auto insurance in the U.S., Facebook and comScore teamed up to survey 1,010 U.S. adults who had purchased a car in the last 6 months. Our guest blogger, Brad Auerbach, provides key insights from the survey, which we think will help insurance producers and marketers target potential customers. Smartphones and other mobile devices clearly play a major role in how customers research their insurance options. Thirty-nine percent of survey respondents reported being heavy mobile users, and 64 percent said that they have previously used a smart phone to shop for auto insurance. But it appears that most customers aren’t using mobile to buy insurance online. Sixty-one percent of respondents reported that they believed research to be important before selecting their provider, but less than half reported that they actually purchased auto insurance online. Of the respondents who purchased offline, 45 percent said they purchased through an agent and 10 percent through a call center. Key takeaway: The relative lack of online sales activity may be an indication that auto insurers need to improve their online purchasing experience, such as providing a faster and more streamlined design and experience for their users. Note that survey respondents pointed to a good website (25 percent) and mobile app (15 percent) as potential reasons for why they chose their auto insurance provider. Thirty percent of respondents reported that they selected their provider within a single day, and 60 percent said that their shopping window lasted less than one week. Advertising is one way that affects which insurance provider consumers choose. Almost half (49 percent) of respondents who recalled seeing or hearing auto insurance ads reported that the ads helped them discover new insurance brands. Forty-four percent agreed that encountering ads motivated them to consider an insurance provider that they hadn’t previously considered. Key takeaway: Insurance producers and marketers should be prepared for consumers to make quick decisions once they’ve found an auto insurance provider that meets their needs. 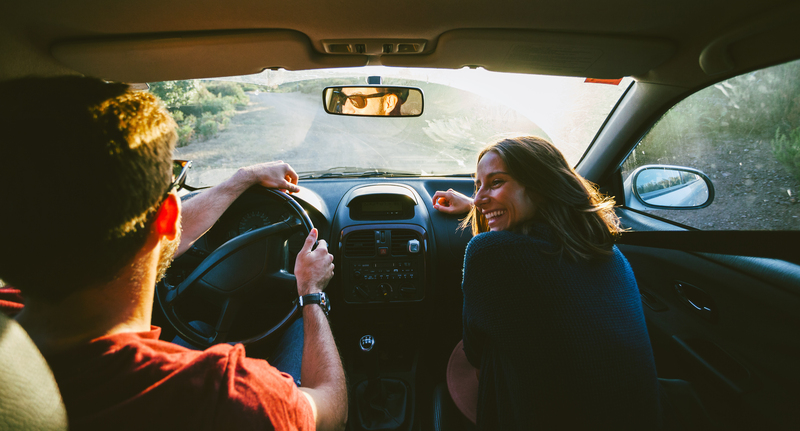 Millennials are actively seeking out others’ opinions before buying auto insurance. They’re more likely to be motivated by price. Important triggers for them to begin shopping for insurance include life events, such as buying a new car or moving to a new location. Loyalists are loyalists for a reason. They are less likely to do deep research, but instead may place a high emphasis on customer service. Their triggers include contract renewals (51 percent), followed by a new car purchase (34 percent). Switchers are motivated by pricing above all else. They’re receptive to advertising and they’re likely to research multiple channels such as friends and family, insurance company websites, social media, etc., to ensure that they’re getting the best deal. The heavy mobile user intuitively turns to their mobile platforms to conduct their auto insurance research. As expected, they tend to be younger, with lower incomes and credit scores. Their triggers include a recent car purchase (41 percent) and the desire for lower pricing (39 percent). 44 percent also reported that they’ve switched auto insurance providers in the past. Auto insurance producers and marketers can improve their sales performance by understanding who their customers are, including their motivations and how they’re using technology to buy auto insurance. For more insights on the path to purchasing auto insurance, download the full report. Brad Auerbach is the Head of Industry at Facebook, where he is focused on leading the operational excellence, revenue growth and strategic partnerships with the largest U.S. financial services and insurance companies. Brad’s team consults with marketers to empower mobile connections that drive business results. Brad is a regular speaker at the McKinsey Property & Casualty Leaders Forum, TransUnion Digital Disruption Summit and Northwestern University’s Kellogg Marketing Conference. Brad attended Indiana University and lives in Chicago with his wife and their two children. Pot is now legal in Canada. What could it mean for homeowners insurance? As of today, recreational pot is legal across Canada. Two weeks ago, we looked into how pot legalization could impact Canada’s road safety. Now let’s talk a little bit about homeowners insurance and marijuana. Except for Manitoba and Quebec, all Canadian provinces will let people grow a small amount of marijuana at home – usually up to four plants. Unfortunately for the aspiring bud-growers out there, growing pot isn’t as easy as growing basil. Marijuana is a fickle weed and needs a lot of care to grow into a viable plant. It can be grown outside or on the window-sill, but a healthy and vibrant marijuana especially likes a hot, light-intensive, steamy environment – not exactly an accurate description of Canada’s climate. Which is why a whole industry has grown up around providing home-growers with hydroponic, lighting, and climate control systems to grow pot indoors, safely tucked away from the blinding snows and sub-zero temperatures of a Canadian winter. 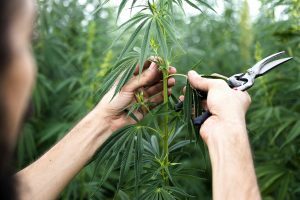 How will home-grown marijuana affect homeowners insurance? Higher risks. Well, for one, these grow systems are definitely not risk-free. High-intensity heat lamps can mean a strung-out electrical system, which can lead to fires. Humid temperature controls mean lots of moisture, which can damage your house with mold and fungi growths. Coverage questions. It’s also important to know what your insurance does and does not cover. For example, some damage caused by mold or fungi is often excluded by a standard homeowners policy. And most policies limit the amount of money an insurer will pay for damaged plants. This limit might not always be high enough to reimburse for marijuana plants, which can be pretty valuable. So if you’re a Canadian planning to use a marijuana grow system at home, talk to your insurer – especially if you’ll be installing complicated equipment. Our guest blogger, Lynne McChristian, is an I.I.I. representative based in Tallahassee, about 100 miles from where Hurricane Michael came to shore. After a major natural disaster, there are various levels of survivor conditions – ranging from total devastation to mild inconvenience. In comparison to what people are experiencing in Mexico Beach and the Panama City areas of Florida, my inconveniences are extremely inconsequential. I was asked for a first-person account, and here’s where things stand on a Sunday afternoon. In my Tallahassee neighborhood, we have been without power since about 2:20 p.m. on Wednesday. This is Day 5 of powerlessness. The air conditioners are silent in the 88-degree heat, but the rumble of portable generators is a bit overbearing, especially at night. The choice is to keep the refrigerator contents cool, or sleep. At least we have that option and a place to sleep, whereas so many do not. Immediately after the storm, about 90% of the town was without electricity. What makes Tallahassee a beautiful part of the state is the same thing that makes it vulnerable to high winds. Decades old, stately oak trees and towering pines offer shady respite one day, and following a major storm, they become something altogether different – a barrier to returning to a comfort zone. All over town, trees are twisted up in power lines. The utility company has a goal of restoring power to most before the weekend is over – and so we wait. On Sunday night, 30 percent of residents still do not have power, and I among them. I am the owner of a brand-new generator. For some, the purchase is a gamble. Bet on a fast recovery or spend $700 on a bulky tool, use it once and store it forever. My purchase was a risk management decision; my mom turned 95 last week, and she lives with me. The generator gives me confidence that she will have the steady stream of oxygen from the concentrator she uses, so it was a wise purchase in my situation. Thanks, Home Depot, for restocking the generators multiple times to aid. Streets are clear here in the state capitol, lined with mounds and mounds of tree trunks and tree limbs. Many gas stations are out of gas. It’s an inconvenience; that is all. 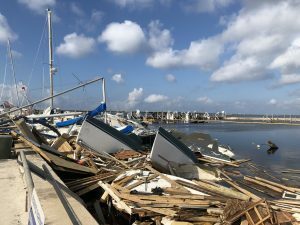 The focus of recovery is on the countless others who would look at this town’s Hurricane Michael experience and think it barely a blip. By comparison, it is. Were you well-prepared for Hurricane Michael? Good. Hurricanes are extremely dangerous. But if you’re not careful, what happens after the storm can be just as harmful as the hurricane itself. Beware the shady contractor. It’s a terrible story: someone’s home is damaged from a hurricane. A contractor shows up at their property and offers to complete immediate emergency repairs. 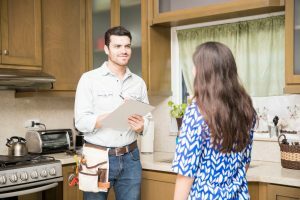 All the homeowner needs to do is sign some paperwork and, the contractor assures them, their insurance company will pay for the repairs – easy as that! Fraud is real and rampant. In the worst-case scenario, the shady contractor makes minimal or no repairs to the person’s home at all, but they’ll file a large claim with the insurance company anyway. If the fraudster is lucky, they’ll get the insurance payout and skip town. Meanwhile, the house is still ruined, and the homeowner didn’t get help to fix it. Your home could go unrepaired for weeks, even months. Or the shady contractor will do unnecessary repair work, like ripping apart the kitchen because of “potential mold damage.” He promises to re-install the kitchen – but in the meantime, he bills the insurance company and the insurer pays. Sometimes, the contractor won’t reinstall the kitchen, often on some pretext or other. This has especially been a huge problem in Florida. You can read some AOB abuse horror stories on the Consumer Protection Coalition website. There are a lot of scams out there. Not all shady contractors are using AOBs. The Florida Department of Financial Services has also issued warnings about fraudsters who offer to provide repairs for cash – and then never provide repairs. Talk to your agent before signing anything. Never, ever sign anything before you talk to your insurance company. Especially not if a contractor is putting up red flags, like pressuring you into signing an AOB or demanding large repair deposits up front. Contrary to what the contractor might say, you do not need to sign an AOB to get your home repaired or your insurance claim processed. Instead, call your insurer. Many insurers will dispatch approved companies to complete emergency repairs on your property. And you’ll still be in control of your insurance policy, which hopefully will make you whole again. No shady contractors needed.